I have a folder full of folders and files. 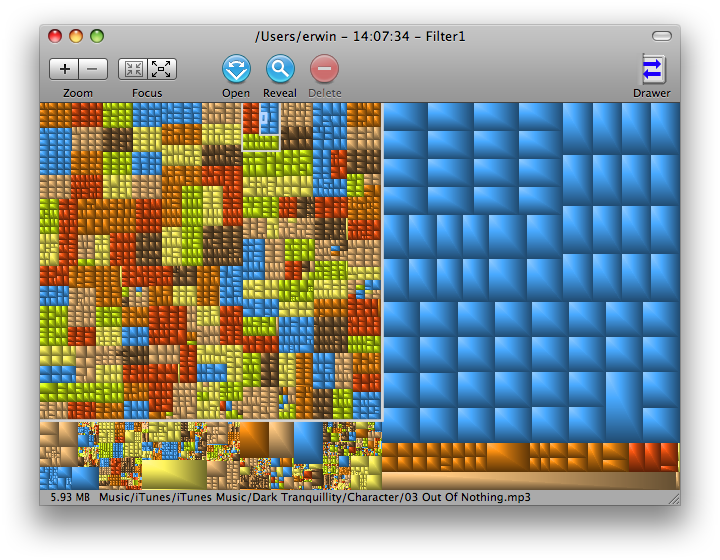 I want to sort files by size (so I could remove the largest files). I know how to do that in Windows Explorer, but I can not find a way to do it in Mac OS X Finder. Is there a way to do something like this in Finder on Mac OS X? It should print a list of all files in the hierarchy, sorted by size. At least on my machine, which is not a Mac, but some other Unix. But in principal it should be roughly the same. Thanks to Richard Hoskins for the bug with the spaces in the names. That's actually a feature in xargs. See this site where it's explained quite nicely. Above version should work now. find . ==> find items from current working directory "." ls -l ==> the command for xargs to execute. This way we get the details especially the size of the files. -k5,5rn ==> sort field definition, begin at field 5 (delimiter default is blank) and end at field 5. That's the size field in ls -l display. r stands for reverse sort order, so that the biggest files are on top and n stands for numerical sort order. If you wanted to do a search, you can search by file size. Go to the File menu, and choose Find. Click the list that starts out saying "Kind," and choose "Other." Select Size from the list that comes up. Enter your criteria and search. However, I cannot find a way to make the search results display the file size column, so it's easier to use that to, say, find files greater than a certain size than to actually sort by size. 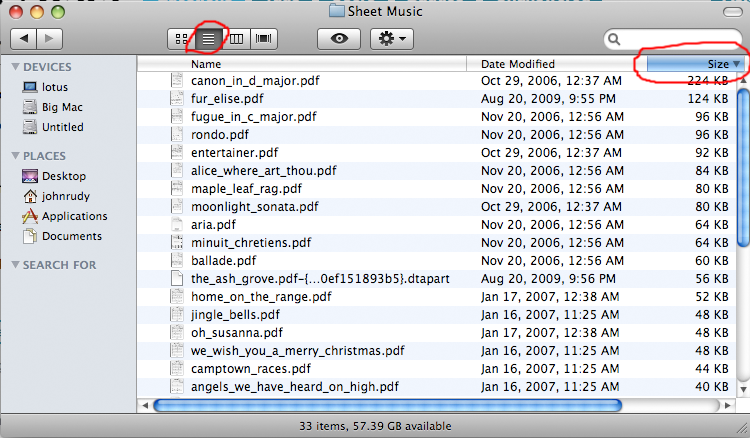 in Search change selection from This Mac to "folder name"
Navigate to the folder in the finder. Momentarily enter anything in the search field on the toolbar. Once you have the search mode active you can delete what you entered to avoid filtering on that text. Click the (+) icon at the right to add a search criteria. Select File size, is greater than, and whatever minimum threshold works for you. Zero (0) is an option, but enough results may make things slow. You may need to right-click (control-click, two-finger click, etc) on the column headers to √ the Size column. Not the answer you're looking for? Browse other questions tagged macos file-management finder or ask your own question. How to change directory sort order only in the current Finder window? How can I do full text searches on files and have a preview? How can I create a new folder within a nested folder hierarchy using Finder? How can I search for all files on my harddisk in windows 7 within a certain timeframe?